One of the toughest lines of commercial insurance is that written on heavy, long haul tractors and trailers. A fully loaded eighteen wheeler traveling at highway speed has tremendous amounts of potential energy and enormous power to kill or maim, or cause massive amounts of property damage, and serious accidents and large claims occur regularly. Until a few years ago insurance companies and large self-insured fleet operators had a pretty good handle on commercial auto claims and costs arising from such heavy vehicle accidents. Claim frequency was pretty steady and predictable, and calculating damages and costs from bodily injuries was a fairly straightforward process. This made insurance for this type of exposure possible and profitable; insurers are not afraid of severe exposures as long as claim experience is predictable and allows for setting premium rates sufficient to pay claims and still make a profit. The past few years, however, have seen a series of very large and unexpected judgements that have upended old calculations, and which are having a negative impact on the heavy commercial auto insurance market. A large part of the reason for recent disruptive changes in the commercial auto insurance segment is attributable to changing strategies by attorneys representing folks injured in big rig accidents. Up until recently damages from such accidents were mostly in the form of (relatively) easy to calculate compensatory damages, such as payments for lost wages, medical bills, pain and suffering, etc. More recently, suits include allegations that companies operating these vehicles violate or fail to enforce safety regulations, improperly maintain their vehicles, overload trucks and similar such allegations. A suit that succeeds in proving such allegations opens up the possibility for millions of dollars of additional punitive damages on top of any compensatory damages directly attributable to the accident that might be awarded. Punitive damages can be a real wild card, with the sky the limit. News headlines about serious truck accidents don’t help either. 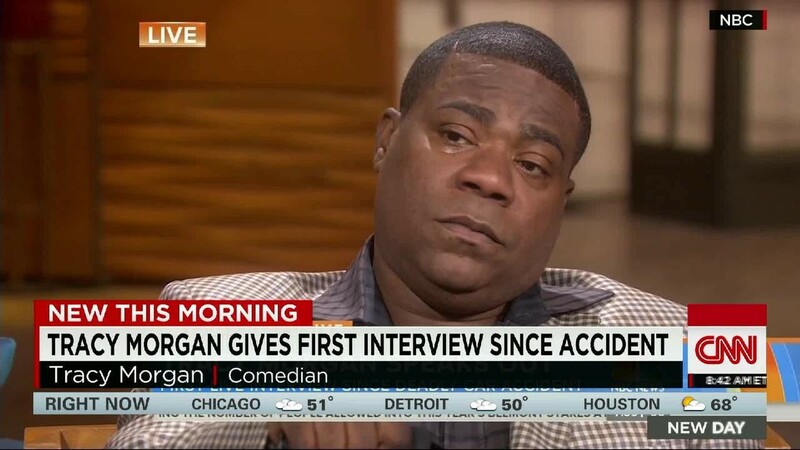 Comedian Tracy Morgan was in a vehicle hit by a Wal-Mart truck in 2014, only one of several high profile accidents recently. That accident and others have resulted in a burst of eight and nine figure judgements in the past few years. The Wall Street Journal ran an article last October reporting on the increase in what it called “nuclear” verdicts, judgements of tens or even hundreds of millions of dollars. The result has been a contraction in the insurance market for heavy trucking risks, with a couple of major insurance companies completely withdrawing from this space. So far the reported impact has been felt mostly by for-hire carriers, trucking companies in the business of hauling goods for others, and not by companies transporting their own goods on their own vehicles. The potential for a severe claim obviously exists wherever heavy vehicles are operated, though, so those types of companies should not think they are immune to the types of claims driving this market contraction, or their effect on insurance rates. We are keeping an eye on these trends, but if you operate heavy commercial over the road equipment, be aware of what’s going on with claim trends and insurance costs. Now would be a good time to review your vehicle maintenance and fleet safety program. The past few years have seen a series of very large and unexpected legal judgements that have upended old calculations, and which are having a negative impact on the heavy commercial auto insurance market. Tracy Morgan’s accident heralded change for the auto insurance market. Contact our specialist in vehicle maintenance and fleet safety now.